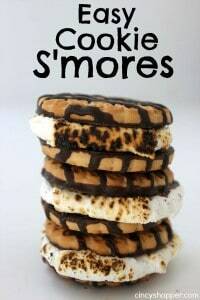 If you are looking to serve up a fun treat this summer, these Easy Cookie S’mores are so easy and tasty. 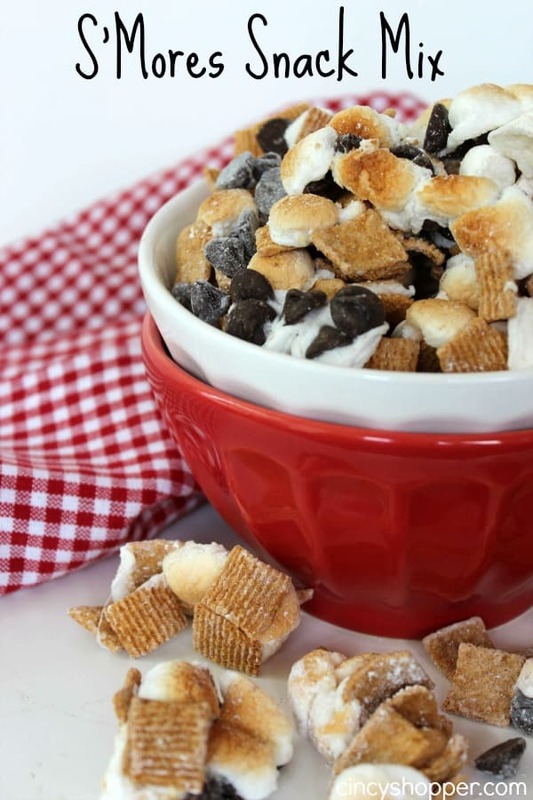 Who ever thought the yummy flavors of a s’more could be so easy and inexpensive? We have warm weather on it’s way for our weekend here in Cincy. Our family is looking forward to having a bbq and spending quality time on the patio. We are all so anxious for the real warm weather to arrive. All the relaxing evenings that are ahead of us have us all super excited. 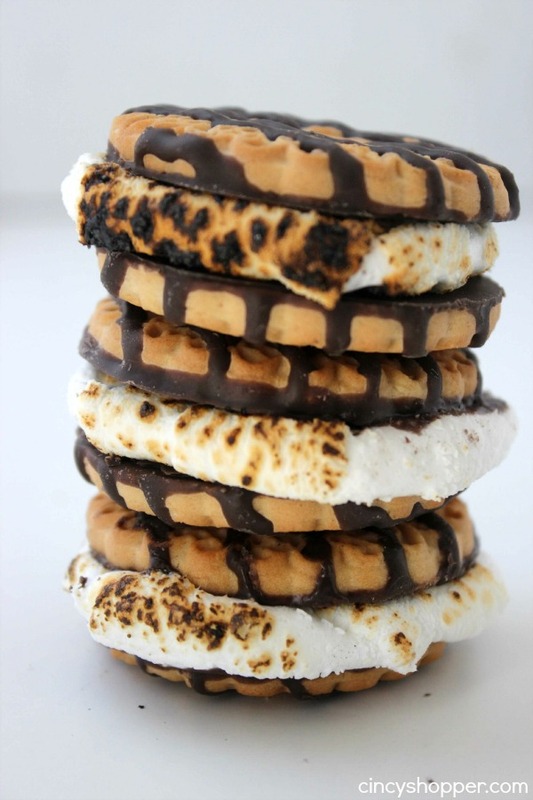 S’mores are the perfect summer treat that most of the kiddos enjoy (and some of us adults too). They are so simple and so “summerish”. 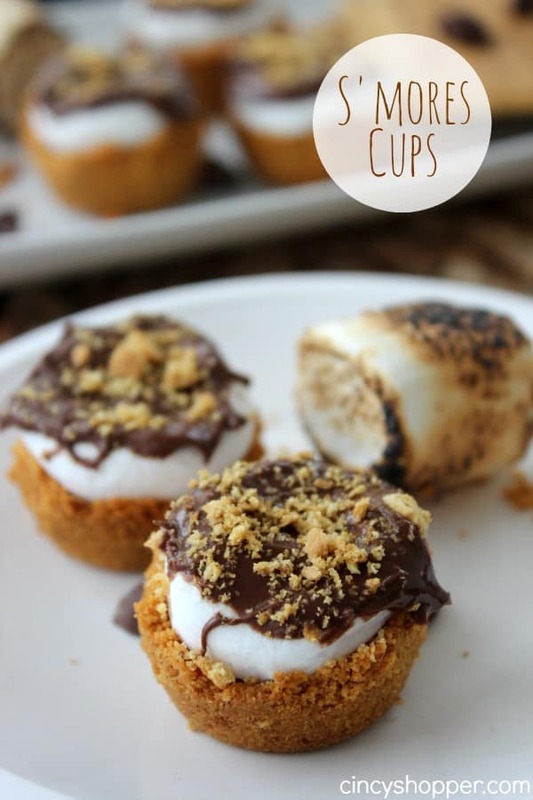 During the winter months, I will make our yummy S’more Cups for them to hold them over until summer S’more weather. They usually hold them over but there is nothing better than toasting our marshmallows outdoors as a family. 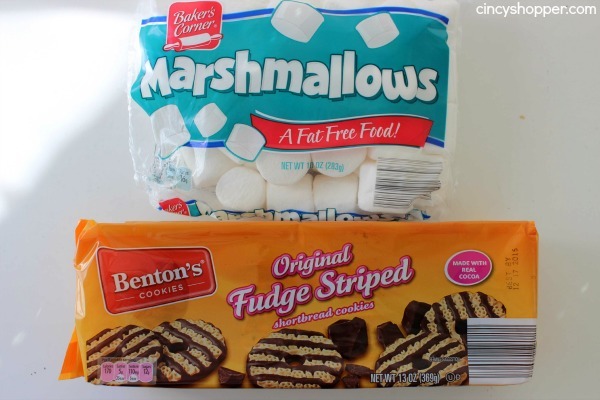 Regular s’mores are so simple requiring just graham crackers, chocolate candy bars and marshmallows. 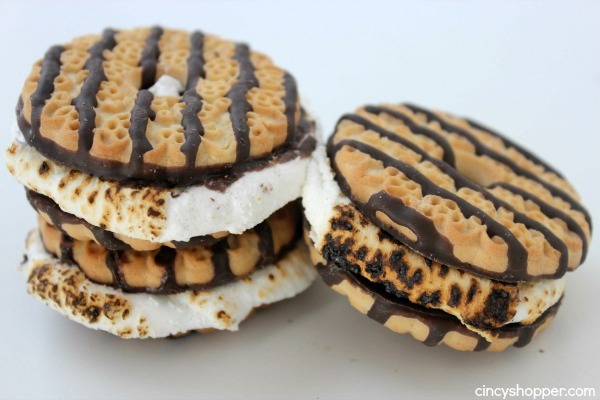 But, an even simpler idea is a toasted marshmallow in between two fudge striped cookies. It’s so simple, less mess, and not as expensive. Those little Hershey bars can add up when feeding a crowd. I grabbed my cookies and marshmallows at Aldi. Super inexpensive treat. The cookies were $1.29 and the marshmallows were under a dollar. 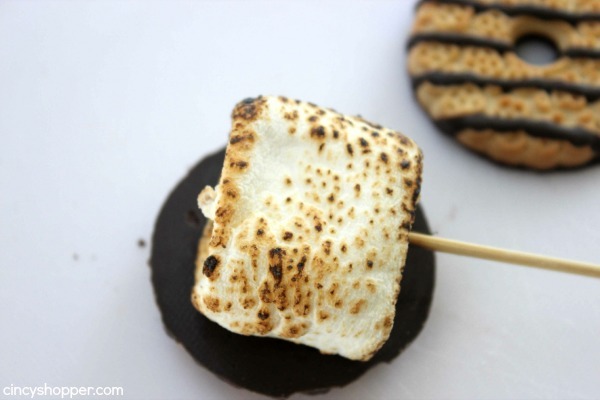 Place marshmallow on a skewer and toast over flame to slightly brown. Press between 2 cookies and serve. 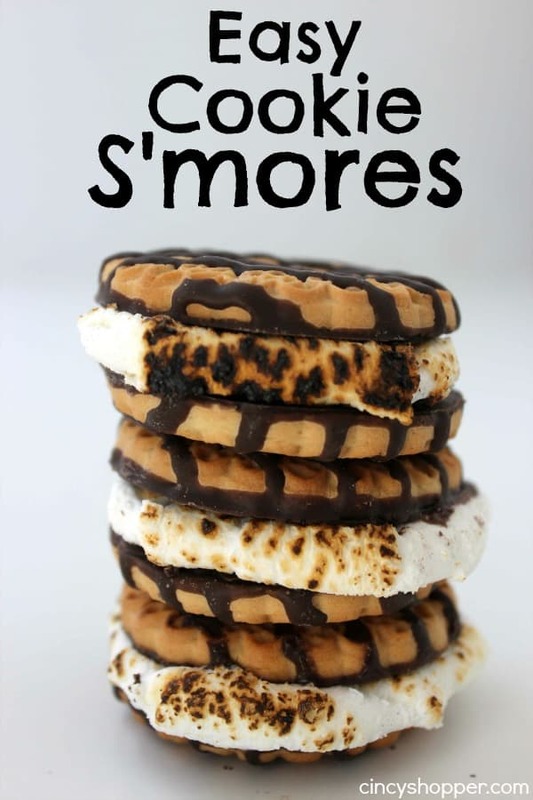 Does your family enjoy yummy s’mores during the summer months? I am looking forward to purchasing or building a new fire pit this summer. It will be great to have the kiddos toasting marshmallows on summer evenings. Microwave each marshmallow for 5 seconds to soften. Yummy! I love, love, love smores. What a great new way to make them. Thanks for sharing at Idea Box.